One of Sydney’s most anticipated cultural events, the Manly Arts Festival will be officially launched at Manly Art Gallery & Museum, from 6.00 - 8.00pm on Friday 16 September, by acclaimed violinist, composer and conductor Richard Tognetti. The fourteen-day celebration of art and culture is now in its 23rd year. The Manly Arts Festival has been running for 23 years and attracts about 15,000 visitors annually – all alongside one of the world’s best surf beaches and adjacent to beautiful Sydney Harbour! This year offers a feature packed program of family-friendly events, including exhibitions, concerts, talks, dance, films and creative workshops. 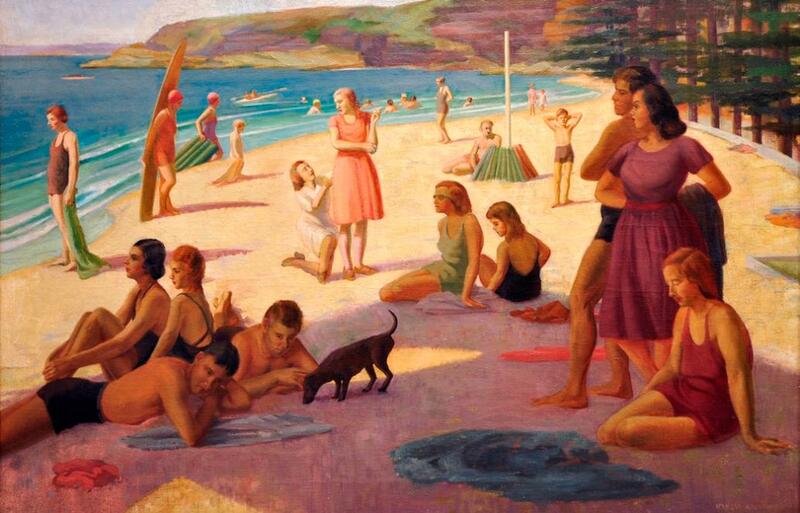 ‘Manly: Art from the Vault’, with works drawn from Manly Art Gallery & Museum’s extensive collection revealing the many faces of the famous beachside suburb and showcasing the Gallery’s recent key acquisitions. The ‘Northern Light’ exhibition (10.00am – 5.00pm, Tuesdays – Sundays, 9 September – 23 October,) will include recent works from pre-eminent and emerging artists living on Sydney’s Northern Beaches. Artists Cameron Bloom, James Brickwood, Tim Hixson, Sally Mayman, Trent Mitchell, Cade Turner and Louise Whelan reflect on the environment, culture and identity through local, national and international ‘lenses’. ‘Manly: Art from the Vault’ draws from Manly Art Gallery & Museum’s extensive collection of paintings, photographs, works on paper and museum objects. These range from early works by the wonderful Ethel Carrick Fox, A.H Fullwood and Tom Peerless to contemporary photographer Anne Zahalka’s photographic reinterpretation of Nancy Kilgour’s painting Figures on Manly Beach (c1930). The Manly Art Gallery & Museum Society is hosting ‘Frida Kahlo: Art, Life, Culture and Chocolate’, a special event to learn about the art, life and culture of Frida Kahlo while indulging your palette sipping authentic Mexican hot chocolate (10.00am – 12noon, Saturday 17 September)! The Manly Arts Festival will be presenting some great chamber music, too! Author and art critic Ashleigh Wilson will discuss his new biography of Sydney artist Brett Whiteley (Saturday 17 September, 3 - 4pm) . 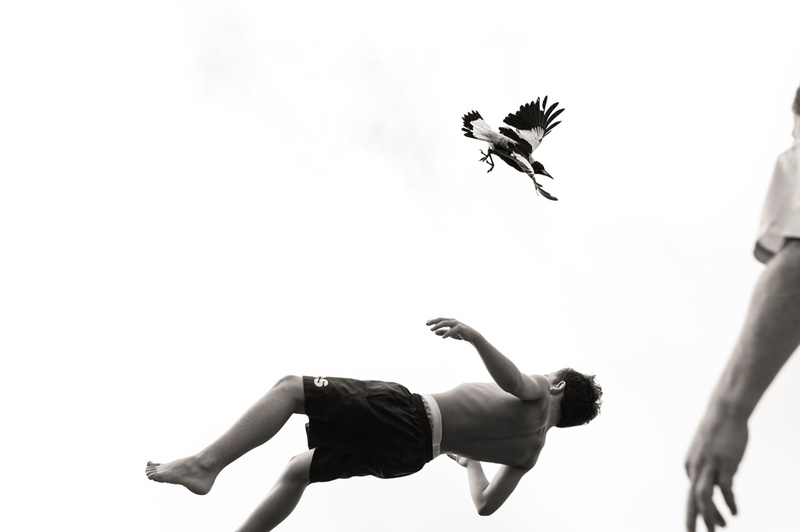 Curator Ross Heathcote will host a talk with Cameron Bloom about his evocative photographs of Penguin, a magpie which is the star of Bloom’s captivating new book ‘Penguin Bloom’, which is published by ABC Books and features a narrative by New York Times best-selling author Bradley Trevor Greive (Sunday 18 September, 3 - 4pm). Australian Chamber Orchestra violinist Satu Vänskä, Midnight Oil and Electric Guitar Orchestra’s Jim Moginie and Brian Ritchie, bass guitarist for rock band Violent Femmes, team up to stage a concert (Saturday 17 September, 7pm). There will be a Creative Women’s Circle event featuring artist Fiona Chandler, photographer Louise Whelan and sculptor Sandy Bliim (Tuesday 20 September, 10am – 12noon). Image detail courtesy Cade Turner.